Welcome back to Scavenger Hunt Sunday! I’m in the middle of doing laundry and preparing for tomorrow’s (or rather today’s) shoot, so I’m going to get straight to the photos. If this is your first time joining us, welcome aboard. If you’ve been a part of the hunt before, I hope this week’s list inspired you. Next week’s list is sponsored by Kimberly. Several months ago, my father-in-law planted a small orchard. I was hoping to photograph Felicity in said orchard this past weekend (with the orchard being the “background”), but it was a bit colder than I expected. 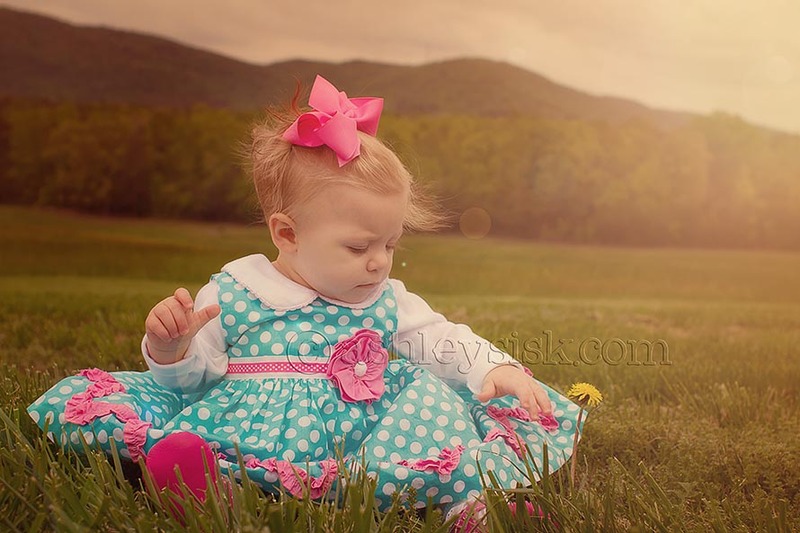 Instead, I decided to photograph Felicity wearing a new dress her Mawmaw bought her in front of their mountain view. What a background! 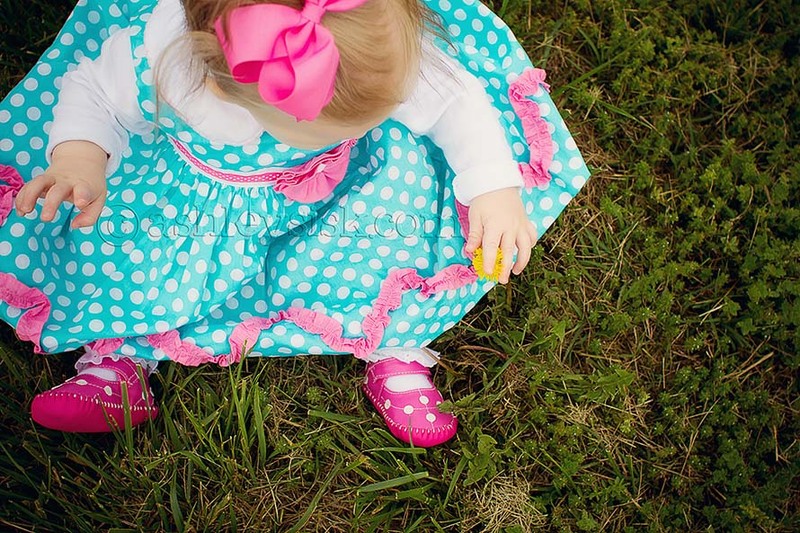 As you can see, Felicity’s new dress has lots of polka dots…and so do her shoes. I shared this photo on Friday as part of a three month old portrait preview, but I just can’t get enough of it. 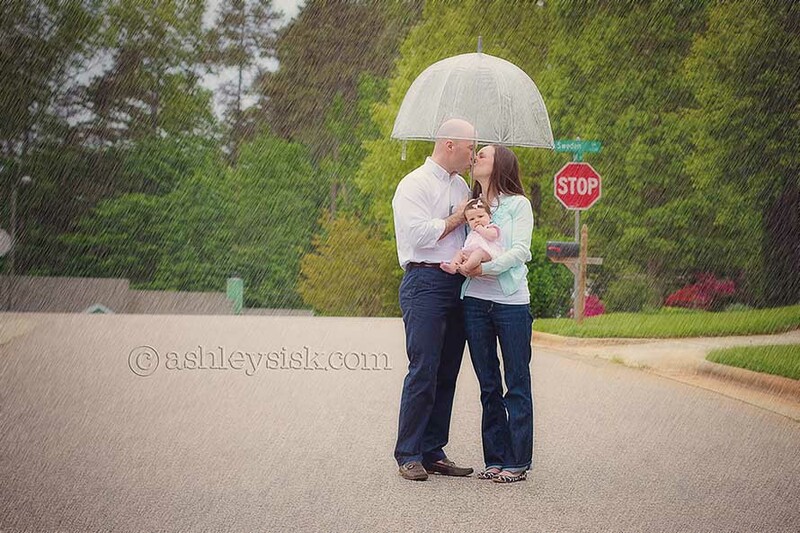 A little rain isn’t going to stop me from capturing beautiful moments! 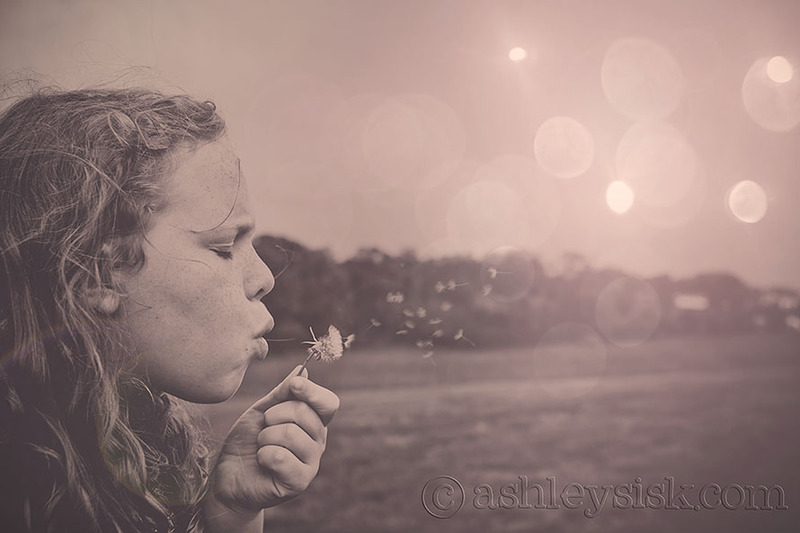 I’ve always wanted to capture a little girl blowing dandelions. Fortunately, my niece was ready and willing this past weekend…and I think it works for motion. I also think this shot looks so magical. Love it! My niece is so sweet with Felicity. 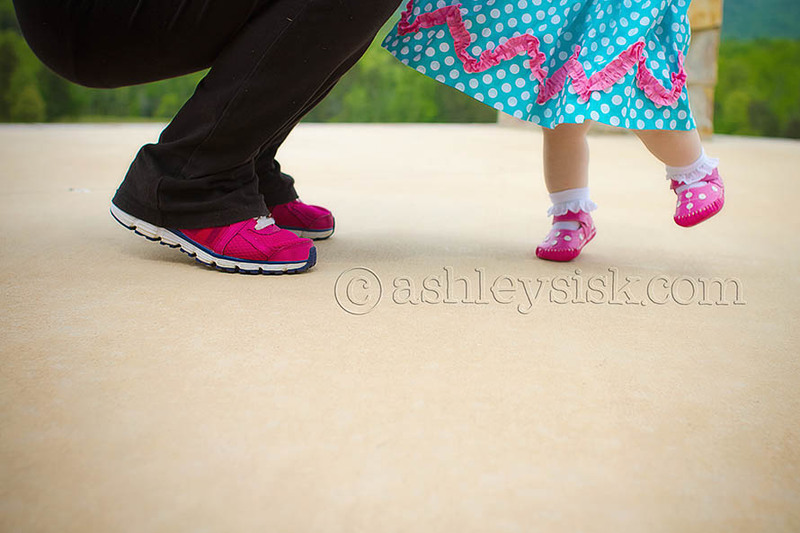 While my nephew was taking a nap, she went outside with us to take a few photos. It always helps if I have someone to make Felicity smile/laugh/giggle while I snap away. Once I was done taking photos of just Felicity, I thought I’d capture the two of them together in a non-traditional way. Very sweet. So, what were your interpretations of the items this week? Be sure to load your pictures on your blog (or your Flickr photostream) and link up at the bottom of this post. Feel free to grab a button to display on your blog along with your scavenger hunt items. The linky will be open until Tuesday night at midnight (EST). If you didn’t participate this week, but want to participate next week, your items are listed below…sponsored by Kimberly. Thanks again Kimberly for the great Scavenger Hunt prompts. If you’d like to contribute items to the list, just send me an email with your suggestions (I can better keep track of them this way). Each week, I will select one reader’s prompt list, add those items to what is currently on tap and give the selected reader a shout out on my blog during Scavenger Hunt Sunday.